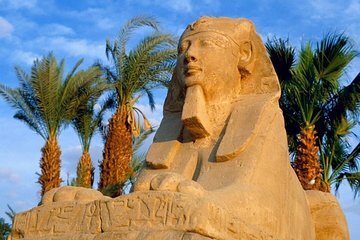 Get a comprehensive overview of ancient Egypt on an 8-day tour from Cairo. Visit the main highlights of Cairo, Luxor, Abu Simbel, Aswan, and Alexandria such as the pyramids, the Sphinx, Luxor Temple, Karnak Temple, the Temple of Ramses II, and the Alexandria Library. Learn about Egypt’s rich history from your guide and admire the longstanding architecture as you tour these ancient structures.